R: Why can’t I connect with people? Oh, right. It’s because I’m dead. Zombie movies have long been an allegory for the despondency of society. We all walk around as if in a trance, going about our business without seemingly giving it any thought whatsoever. We don’t feel anything; we don’t notice anything; we just blindly accept our fates that have numbed our minds into complacency. Plainly put, zombies remind us that being alive is a much better deal than being undead. 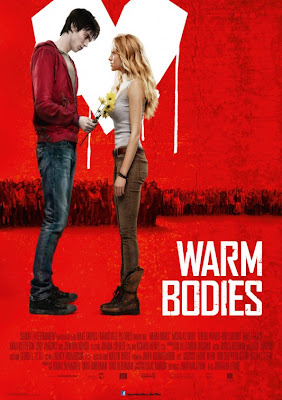 And with all the chatter about a zombie apocalypse on the horizon, WARM BODIES, Jonathan Levine’s follow-up to 50/50, announces that even if it comes to this, there will always be hope as long as there is love. 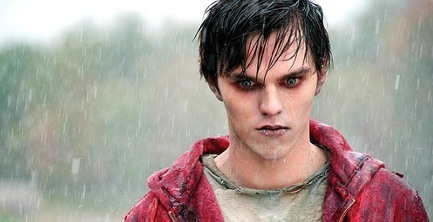 In WARM BODIES, zombies already run the world. Well, they don’t so much run it, as that would require thought, but they occupy it. The remaining unaffected human beings live in a city that is protected by a giant, fortified wall, as everyone knows, zombies are not the greatest climbers. On occasion, groups of humans, young attractive humans as it turns out, go on missions outside the city to collect whatever they can find, from medicine to food. On one such outing, a young lady named Julie (Theresa Palmer), the daughter of the human’s leader (John Malkovich) no less, is captured by the zombie who eats her boyfriend’s (Dave Franco) brains. Now, zombies don’t ordinarily spend their time taking humans prisoner but this zombie, whom we will later know as “R”, and who is played by Nicolas Hoult, a boy far too pretty to be caught chowing down on brains, is no ordinary zombie. No, in fact, R is intensely nostalgic and underneath all that dead skin, very sensitive. He collects things from the old world, like records and books, anything that reminds him of what it used to be like to be alive. Bringing a human being back might be overstepping though, or in the case of a zombie, over-shuffling. WARM BODIES should not work as a movie. And, in all honesty, it doesn’t always come together properly. Zombies don’t move very quickly and they don’t really talk all that much. So having one as your protagonist could make for a very slow experience. So Levine, taking his cue from the Isaac Marion novel, lets us hear R’s thoughts throughout his kidnapping plot. What you hear is a romantic so held back by his own inability to connect with people, what with his being a zombie and all, that the audience, if they have ever felt restrained by their own insecurities surrounding love, should want to root for his success. The trouble is, his success, which Hoult does make as endearing as he possibly can given the circumstances, means that the film has to break more zombie conventions than it can recover from. On the plus side, I did learn that we needn’t worry too much about the aforementioned zombie apocalypse. Apparently, it is no match for true love. Fantastic review. I will have to see this and judge it myself, but you make some excellent points on why it works and doesn't work. Personally, I really enjoyed this film and feel that it may have re-vitalized the zombie movie genre. My sole complaint is that it humanizes R much too quickly, we never really see him fully represented for what he really is: a zombie. I think part of what I like about it was that it broke zombie movie conventions. Personally, I've gotten rather bored with zombies and seeing such a fresh take on this rotting genre was nice to see. 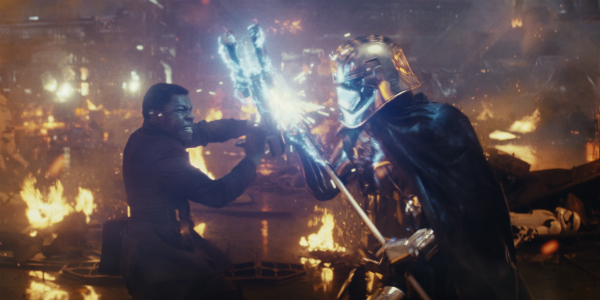 I think it's interesting to see how messing with a genre can excite some and turn others off completely. I do agree that perhaps what undermined the differences in this film for me was R's rapid progression. Before you know it, he was practically having a conversation. And I'm still a little iffy on the overall message that love can transform anything ... including zombies.